At Mitton Group, we’re delighted to announce that our chosen charity for the year in 2019 is Martin House Hospice. 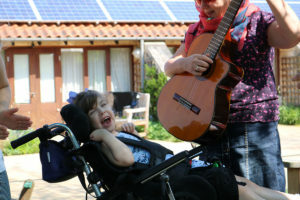 Martin House Hospice has as its key objective to help children and young people with a life-limiting condition, along with their families, to live well and fully, offering the best possible end of life care and support to the family in bereavement. The charity relies almost completely on donations and fundraising efforts to operate, and this year has provided care and support to over 400 children and young people and 170 bereaved families in West, North and East Yorkshire. Last year, they delivered 3,197 nights of care to life-limited children and young people, as well as 2,750 hours of care in the home and in the community. It will cost a staggering £8 million to run the hospice this year, with just 11% of that total coming from government sources. This means that each and every day, it costs £22,000 to keep this wonderful place up and running. So as part of our commitment to corporate social responsibility, we’re looking forward to playing a part in helping out. We’ll be taking part in events organised by Martin House, as well as organising our own events. However we do it, we’ll make sure that by the end of 2019 Mitton people have helped to finance the invaluable work of the hospice.